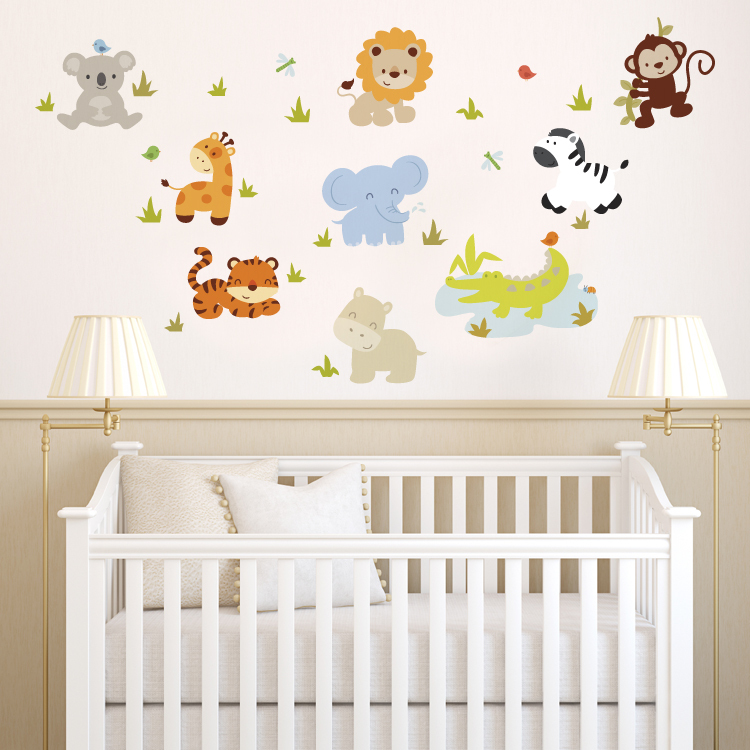 These adorable Baby Zoo Animals printed vinyl wall decals are perfect for decorating any nursery! Our Printed Decals are easy to apply and are ideal for any smooth and flat surface! If your walls have any texture, we recommend purchasing a Printed Test Decal Sample Pack first. Entire graphic as shown: 58.5 inches wide by 56.5 inches high. Individual sizes range from 9.5-20.5 inches wide by 9-14 inches high. Each animal comes separate for easy application and so you can create your own look. DaliDecals are awesome to work with! Excellent customer service and so nice!